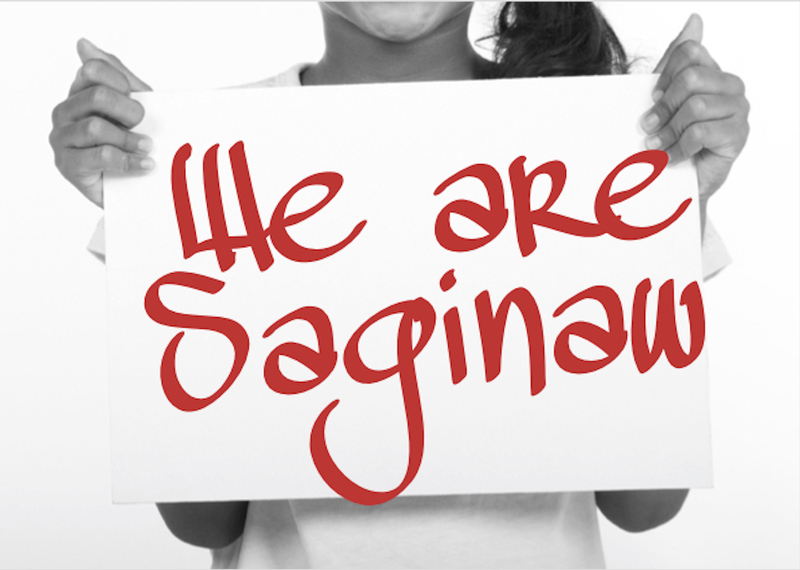 Throughout the next year the Saginaw Choral Society is leading a brand new project called #WeAreSaginaw. This inspiring project aims to celebrate the impact and importance of all the people in our community. At various events throughout the year, you will have the opportunity to participate in this project or maybe even already have. SCS has set up tables at local events all summer long and will continue to do so until their final concert of the season. If you find yourself at one of these events you’ll be asked to tell, in a word or two, how you would respond to the sentence “I AM…” You’ll write your description on a #WeAreSaginaw whiteboard, get your picture professionally taken and then are encouraged to share your photo on your own personal social media explaining why you chose the words you did. At the end of the season, we’ll all come together to recognize the full impact of what makes us… us! The Saginaw Choral Society’s final concert of the season on May 4, 2019, is titled appropriately, We Are Saginaw. At this concert, the Choral Society will use the photos and specially selected music to perform a season-ending, multi-media concert that puts everything together into an exciting and revealing look at our community. Images collected throughout the year will be projected onto the screen of the historic Temple Theatre, as the ensemble performs selections to represent the words chosen by our own community. But that’s just the first step. The photos will also become part of an ongoing social media project that will continue to bring us together as the Saginaw Choral Society strives to build and unite our community through music. A year of community participation culminates in one awesome night of building and uniting our community through music. See how #WeAreSaginaw comes together as we finish the way we started – with a bold and fantastic flourish!